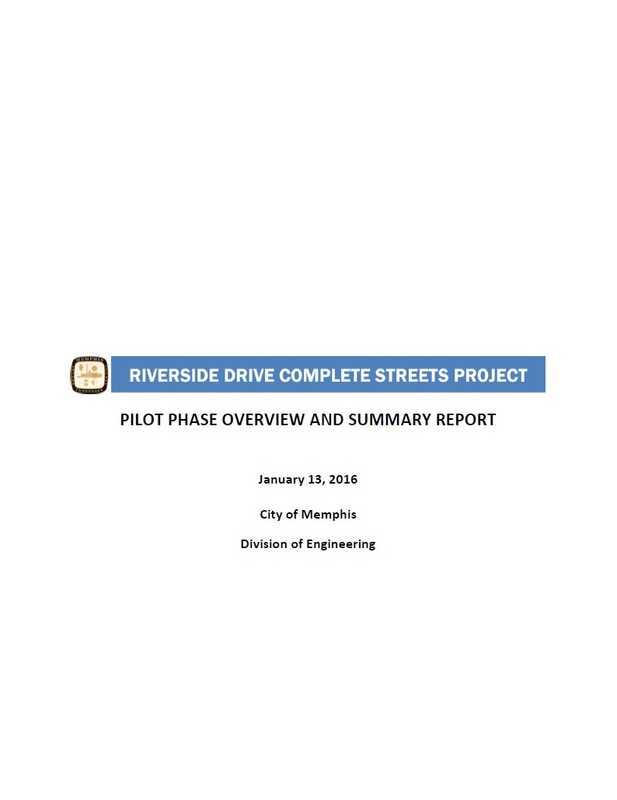 This report summarizes the data and input collected during the Riverside Drive pilot project from June 2014 to May 2015, and describes how the City arrived at the final recommended design. 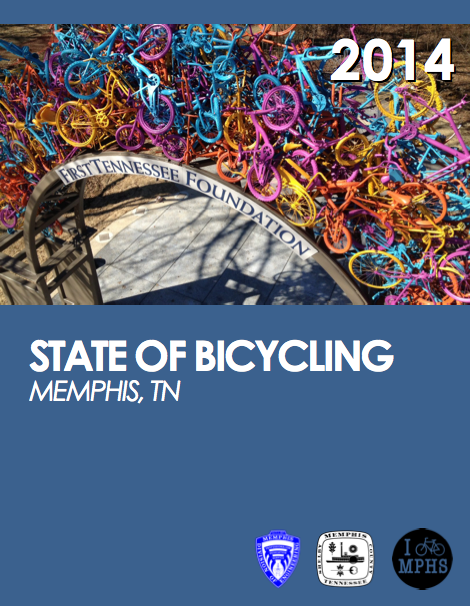 This report outlines some of the key accomplishments for bicycling the City of Memphis achieved since it began improving conditions for persons riding bikes in 2010. A recap of recently constructed bicycle facilities is included along with other noteworthy milestones such as the City’s plans to expand bike facilities through 2018 and key projects like Explore Bike Share. The Memphis Pedestrian & School Safety Action Plan is the product of a collaborative, data-driven planning process focused on prioritizing and delivering critical pedestrian infrastructure projects near schools in Memphis. The Complete Streets Project Delivery Manual helps to ensure that these considerations are made in a uniform manner, with guidance and influence of Complete Streets concepts every time a project occurs within the public right-of-way. 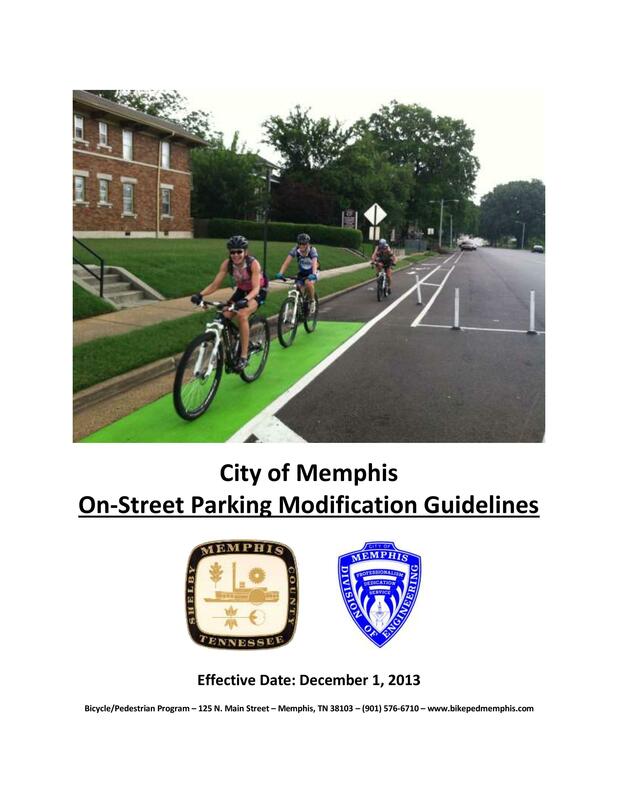 This manual will be used by City of Memphis employees as they work to ensure compliance with the Complete Streets Executive Order issued in 2013. This plan is intended to identify the opportunities for enhancing bicycle and pedestrian travel within the Memphis MPO region. The recommendations contained in this plan should be used as guides for taking advantage of these opportunities. The study area of the Memphis MPO consists of all of Shelby Cty, TN & DeSoto Cty, MS and parts of Fayette Cty, TN & Marshall Cty, MS. 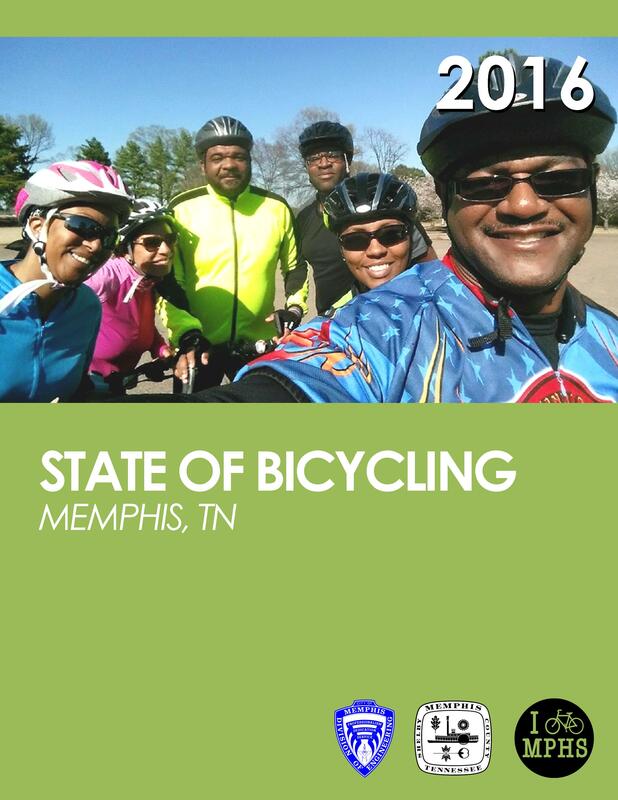 This report outlines some of the key accomplishments for bicycling the City of Memphis achieved since it began improving conditions for persons riding bikes in 2010. A recap of recently constructed bicycle facilities is included along with other noteworthy milestones such as the City’s plans to expand bike facilities through 2016 and key projects like The Hampline. 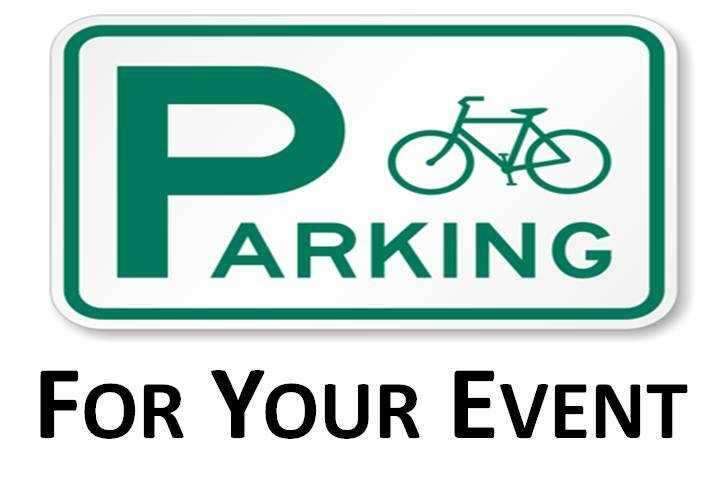 These guidelines establish the procedure and notification process that will be used when the installation of a new bicycle facility requires modification of the currently available on-street parking in residential and commercial corridors in the City of Memphis. This study outlines the key resources needed to produce a successful bike share program in North America. 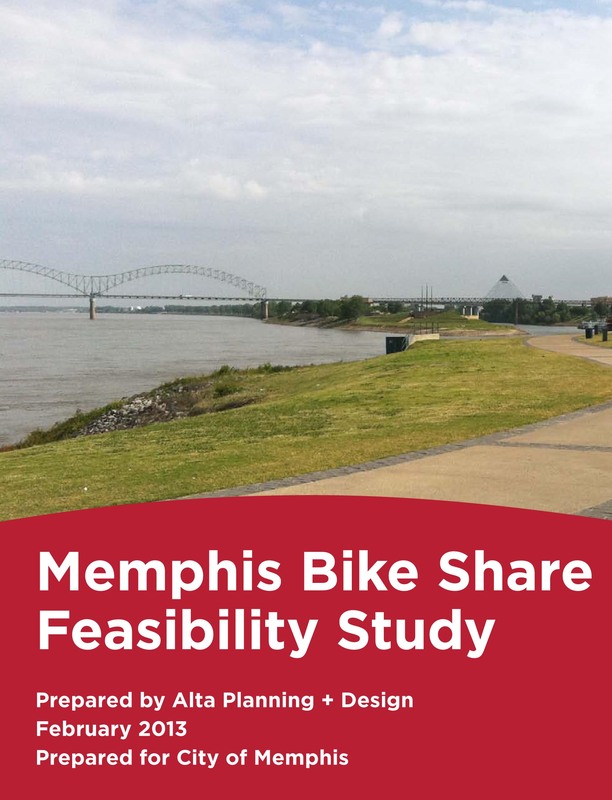 Using these factors, the existing conditions of traffic flows, bicycle use, and locations of key destinations/origins of bicycle trips in the City of Memphis, the study estimates what the costs of starting a bike share program would be as well as identifies the opportunities and challenges that may be associated with such a system. 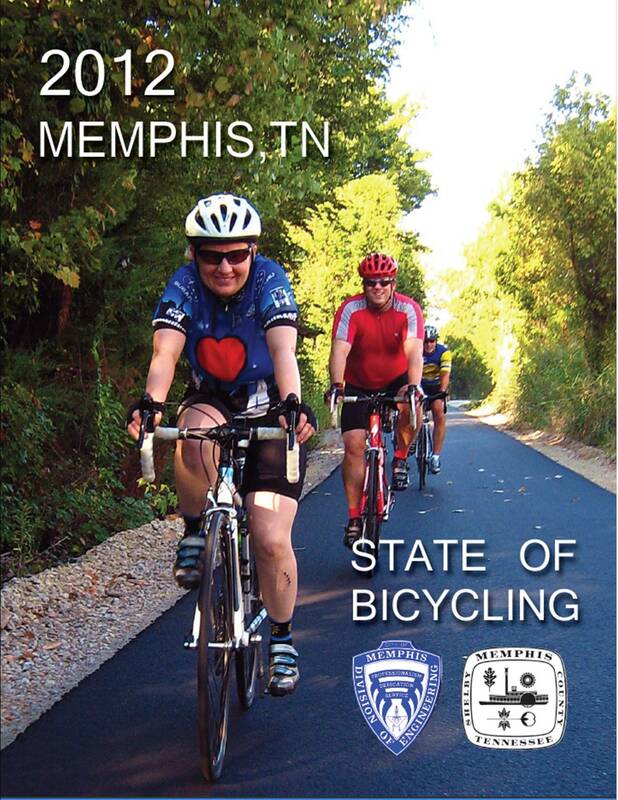 This executive creates an official complete streets policy for the City of Memphis. A complete streets policy provides a framework by which every transportation-related project must consider all potential users during the planning, design and construction of the project or corridor. 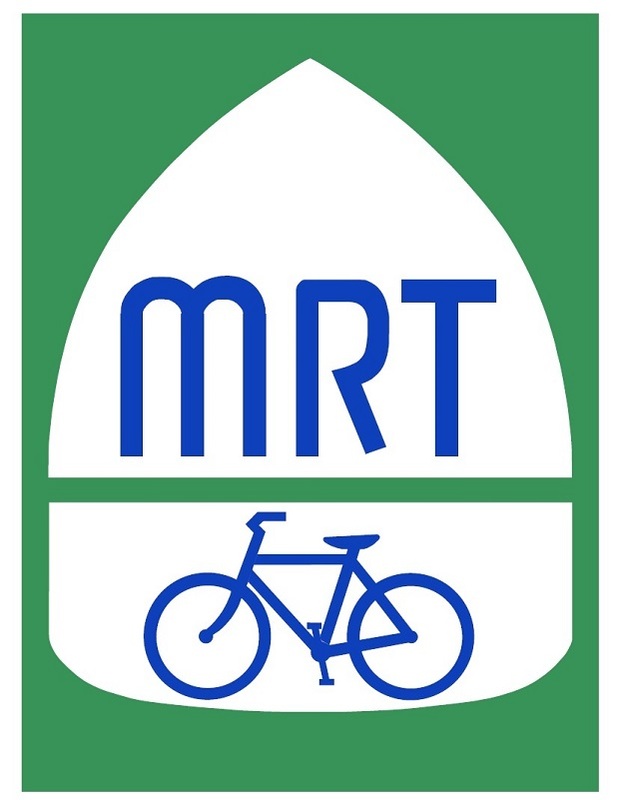 Users include automobile drivers, persons riding bicycles or walking, persons that access public transportation, and persons with disabilities. 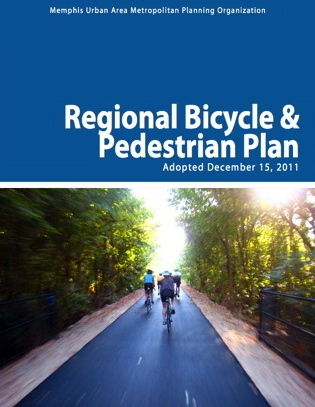 This report outlines some of the key accomplishments for bicycling the City of Memphis achieved in 2011. A detailed list of recently constructed bicycle facilities is included along with other noteworthy milestones such as the City’s designation as a Bicycle Friendly Business and the award for federal grant money that will be used to maintain momentum in 2012 and 2013. The Mississippi River Trail is a ten-state scenic byway created during the mid-1990s in Memphis that offers bicyclists access to some of the nation’s most extraordinary natural habitats, scenic views, national parks, wildlife reserves, historical and cultural sites. This report details ways in which the corridor running through Shelby County, TN can be enhanced to better serve residents and visitors. This plan is intended to identify the opportunities for enhancing bicycle and pedestrian travel within the Memphis MPO region. The program, facility, and policy recommendations contained in this plan should be used as guides for taking advantage of these opportunities. The study area of the Memphis MPO consists of all of Shelby County, Tennessee, and parts of DeSoto County, Mississippi and Fayette County, Tennessee.